FASTtrack: Applied Pharmaceutical Practice guides student pharmacists and pharmacy technicians through pharmaceutical dispensing. Christopher A. Langley - Professor of Pharmacy Law and Practice, Aston University School of Pharmacy, and Dawn Belcher - Teaching Fellow, Pharmacy Practice, Aston University School of Pharmacy. 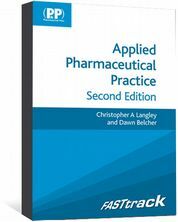 FASTtrack: Applied Pharmaceutical Practice focuses on what you really need to know in order to pass exams. Concise, bulleted information, chapter overviews, key points, and an all-important self-assessment section which includes MCQs. 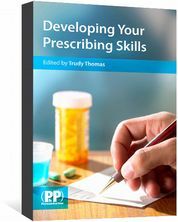 This FASTtrack book has been written to guide the student pharmacist or pharmacy technician through the main stages involved in pharmaceutical dispensing. FASTtrack: Applied Pharmaceutical Practice accompanies the compulsory dispensing courses found in all undergraduate MPharm programmes and equivalent technical training courses. It is an invaluable resource either as a study aid or as a companion to the core reference text Applied Pharmaceutical Practice . Read an interview with the authors discussing the new edition of the book, recording videos together, and their desert island essentials. Are your exams coming up? Are you drowning in textbooks and lecture notes and wondering where to begin? Take the FASTtrack route to study successfully for your examinations. 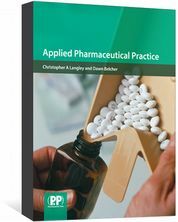 FASTtrack: Applied Pharmaceutical Practice is also available as an ebook. "Applied Pharmaceutical Practice is good for all years and all stages of the MPharm course whether you are a first year learning from scratch or just refreshing your addled fourth year memory. 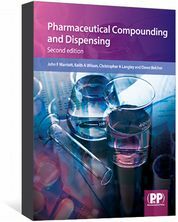 It's great for practical dispensing, OSCEs, law exams or for anyone working in a pharmacy as a student, technician or newly qualified pharmacist...a brilliantly written book, student friendly, as well as being clear and interesting enough to read from cover to cover"
Katrina Fredericks, BPSA pharmacy student, 2013.